There is certainly no shortage of stand up paddle board accessories. 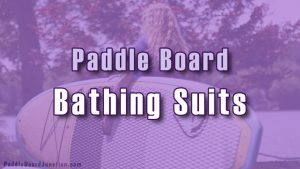 The popularity of the sport has only introduced a myriad of attachments, safety features, and wearable items to the paddling adventure. … there’s so much more to paddle boarding. Because safety should be your family’s number one priority, you are going to want to spend some time getting familiar with the safety accessories available to paddle boarders. Most of these accessories should really be thought of as necessities, especially for children and new paddlers to the sport. Your local enforcement of watercraft vessels may be pretty relaxed but SUPs do qualify, Federally, as a manned watercraft which means you are required to carry a P.F.D (personal flotation device) with you at all times. While you don’t necessarily have to wear the life jacket or whatever pfd you choose you must have it on board while paddling. Make sure your pfd is coast guard approved. There’s tons of styles out there, all of which give you the best odds of surviving a catastrophic accident should one occur. This article will help you choose a PFD for your SUP. 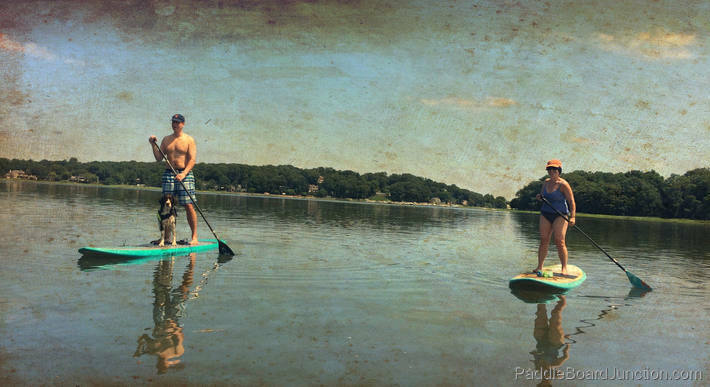 Many paddle boards come with a leash. If yours didn’t you should seriously consider purchasing one. A leash is a long stretchy-plastic line that ties you to your board. It makes sure you board can’t get away from you! You might be thinking, how could that happen? Believe us when we say… very easily! In windy or wavy conditions you can fall off your board and your board can keep cruising aways from you. Not only could you lose your board but worse yet your life if the conditions were just right… eh make that wrong! Traditionally leashes are worn down around the ankle but many paddle boarders also secure them just below the knee. Try it both ways to see which way feels more comfortable to your. If your anything like Zoe and I you’ll really get into the sport challenging your self. Our paddle boarding trips have gotten longer and more difficult with time. This has introduced some added challenges. From sunburn to dehydration we are always trying to think preventatively. You should too! We always make sure we have plenty of water on our excursions. Want to really pack some beverages on you next SUP adventure? You can bring a cooler with you! It won’t take long to realize that the sun can really beat down on you while your out on the water. With typically no shade to be found out on the water you have to invest in some of your own shade. Ball-caps look cool but don’t shade anything other then the part of your head they are touching and maybe about one-inch of your forehead – if you’re lucky. 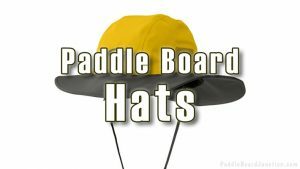 Cover up your neck and face by wearing a paddle board hat that is designed with paddle sports in mind! You don’t need anything fancy to begin your paddling adventures. But as with all sports, as you progress you’ll enjoy getting proper gear for the job. I can’t express how much more I like long distance running since I started training in wicking fabric. I used to run in regular cotton t-shirts and regular long gym shorts. Uhg… it’s no wonder I hated running. That clothing was like wearing rash-bearing armor every time I began sweating… and it didn’t take long believe me. Anyway, as you progress into paddle boarding and find yourself spending hours into several mile treks you’ll have to put some consideration into your paddle board bathing suit and accompanying attire. As you get hooked on paddle boarding you’ll find yourself wanting to stretch your opportunities. If you leave in a part of the world like we do this includes part of the year that is too cold to swim. Naturally you’ll find yourself extending your paddling season into some of that colder weather. This is where a wetsuit can not only make things more comfortable but actually become a necessary accessory considering cold water can give your hyperthermia and lead to … um yeah… death! Check out our guide for the best paddle boarding wetsuits, that way you’ll be prepared should you want to extend your SUP season! Because your paddle board probably cost a fair amount of money you might want to consider protecting it with a bag or sock. There’s many different configurations, sizes and styles but they all aim to keep your precious board in good shape. It didn’t take Zoe and long to figure out that paddle boards (like all my surfboards) get dinged up pretty easily. The rigid boards are usually made from fiberglass and resin… they look sooo good when they are new but take on scratches really easily. It’s the trade off for being so light. Rigid boards are kind of like an egg shell. Anywho, you might want to protect your board with a SUP bag or sock. Just don’t leave the board in there soaking wet for a long time or you won’t like what you find the next time you take it out of the bag! You can’t paddle around with your board in your bag or sock. Once it comes out it is easily damaged. 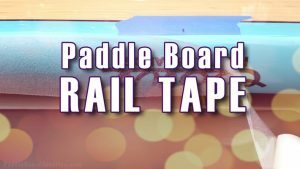 You can mitigate much of the rail damage that happens regularly to your board by sticking on some paddle board rail tape. This thick adhesive is kind of a pain to put on but once it’s stuck to your rails your board is better protected where it is most susceptible to damage. It’s way too easy to drop your board on its side after a 10 mile paddle. (been there, done that) When you are tired you tend to do things like that. Also while paddling, your paddle nicks the rails of the board here and there. Over time, that damage can add up. Rail tape guards against all of this and in some cases can make your rails have better grip too! Blasting threw the elements on your paddle board may very well make you feel like an ancient navigator living one with nature. That’s cool and Zoe and I of all people appreciate and understand the sentiment. There are some cool accessories to make your paddle boarding experience at times more fun! I had no idea they even made SUP lights up until recently. Made for nighttime adventures out on the water there are all kinds of lights you can attach to you paddle board. Some shine under the water and act as a beacon of light so approaching boats don’t run into you. Others act more like head lights and allow you to navigate on the water at night. It’s pretty cool how modern technology, most notably LED light-technology and compact batteries has done for the sport. 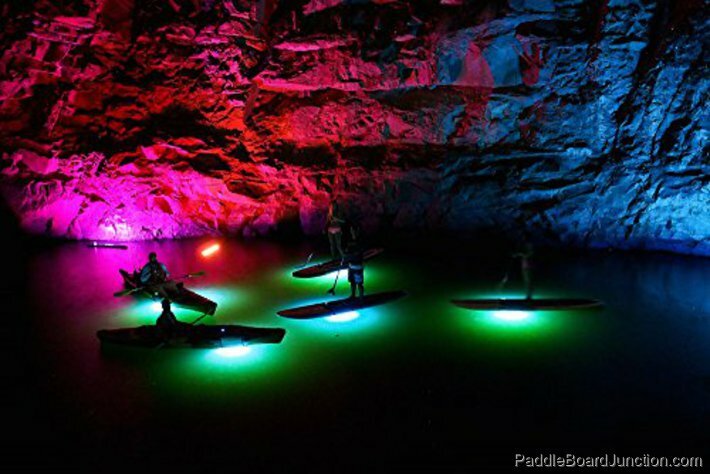 Be sure to check out this awesome article on paddle board lights. It certainly didn’t take anglers very long to adapt fishing while on a paddle board. As you might imagine there is more SUP fishing accessories than you can shake a stick at! …uh or should we say rod ? Either way you’ll be hooked on all the paddle board fishing accessories that are available. One of the first thing you will want to invest in is a paddle board rod holder. 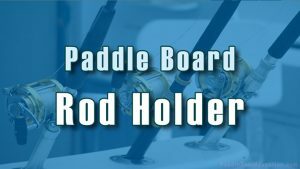 There are a few rod holders out there for securing your fishing pole to your board while your hands are freed up to do other things. Heck you could even do some trolling once your rod is held in place! From simple, single rod suction cup models to multi-rod crate systems, you do have some options available for making your SUP fishing adventure more convenient for sure. Zoe and I are hug fans of paddling with our dog. He loves the water and we really don’t want to leave him by himself… it’s not very nice. He is part of the family after all! 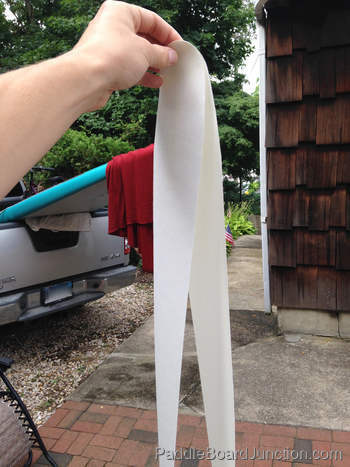 One of the problems with you dog riding on your paddle board is the limitation of the deck pad. Most paddle boards have a limited area in which the deck pad covers. Stand elsewhere is fairly dangerous for both your and your dog because the wet surface of the non-padded parts of your board get really slippery. Believe me, we’ve tried it! This is where a dog pad comes in really handy. It’s basically an extra deck pad made especially for your dog. 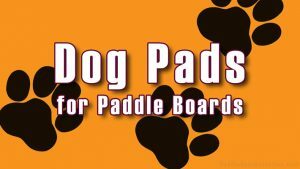 You stick it onto the non-padded area of your dog, which is most likely the front of your board, where he or she will be riding along with you as you paddle!